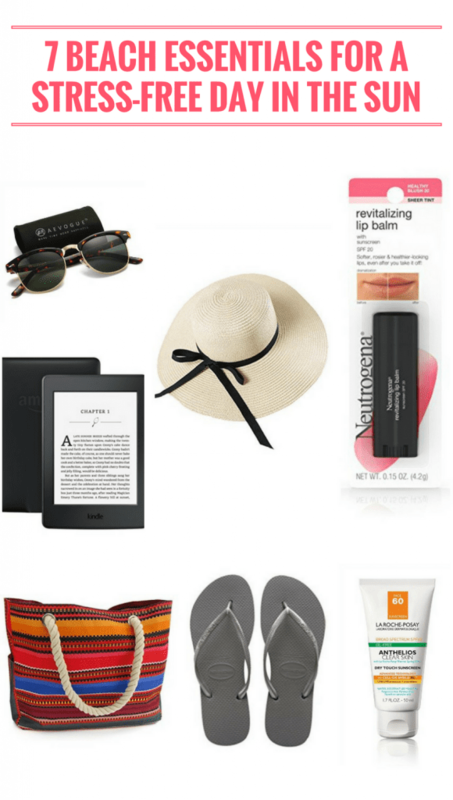 These 7 beach essentials will help you have a day of stress-free fun in the sun. The beach is, obviously, the most sought-after vacation destination during the summer months, and why wouldn’t it be? It’s gorgeous, it relieves everyone from the heat, and it’s fun for the whole family. But sometimes, with the sun, surf, and sand comes stress. However, if you plan ahead and pack a few extra things, you’ll get the beach fun without the pain and stress. 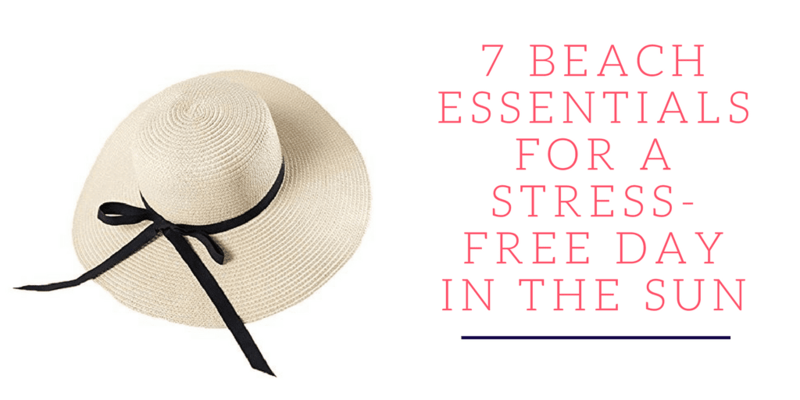 Here are a few things you can pack to take the stress out of going to the beach. When you’re excited about the beach, sun protection might be one of the easiest things to forget about. But nothing ruins a beach trip quicker than a lobster red sunburn, so be sure to pack plenty of sunscreen with a high SPF so everyone has fun AND is protected from harmful UV rays! Also, be sure to pick up a bottle of face sunscreen. The sun can strip the face of its natural oils and moisture while you’re out in the sun. 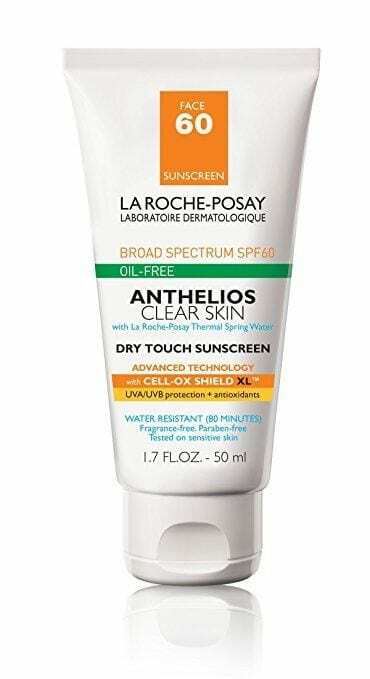 We’ve been using La Roche-Posay Anthelios Clear Skin Dry Touch Face Sunscreen and it has been fantastic. If you struggle with acne or oily skin, which makes you hesitant to put sunscreen on your face, this is such a great product for that. It’s non-greasy, soaks in really well and protects the sensitive skin on your face without that yucky feeling so many other sunscreens leave behind. 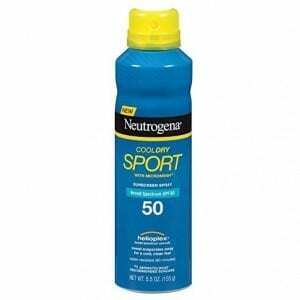 The Neutrogena Cooldry Sport Spray Broad Spectrum SPF 50 was created with athletes in mind. It creates a breathable barrier that allows sweat to pass through. 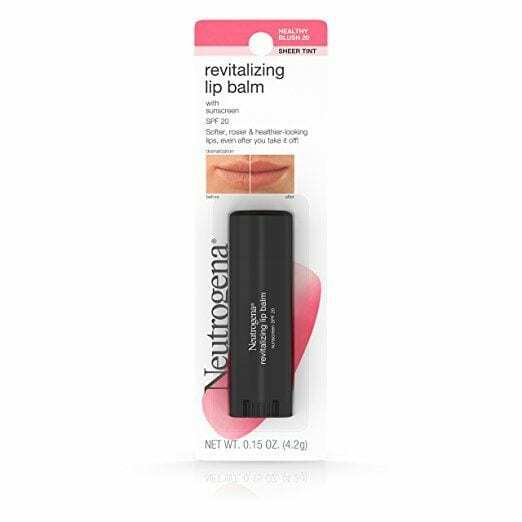 It’s also non-greasy, lightweight and fast absorbing. 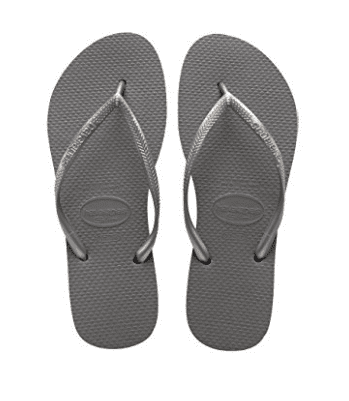 Putting on strappy sandals or tennis shoes after a day in the water and sand is time-consuming. Grab a pair of easy slip on shoes, like slip-on Vans or flip flops, so you can put ‘em on and go whenever you need to grab something from the car or take a trip to the restroom. If you’re a book lover like myself, I highly recommend subscribing to Kindle Unlimited. Our entire family shares the plan and we can check out 10 books at a time. It’s been perfect for us and saves us money since we don’t have to purchase the books. 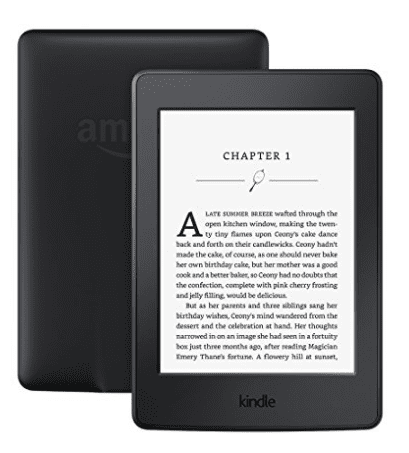 You can find out more about Kindle Unlimited here. 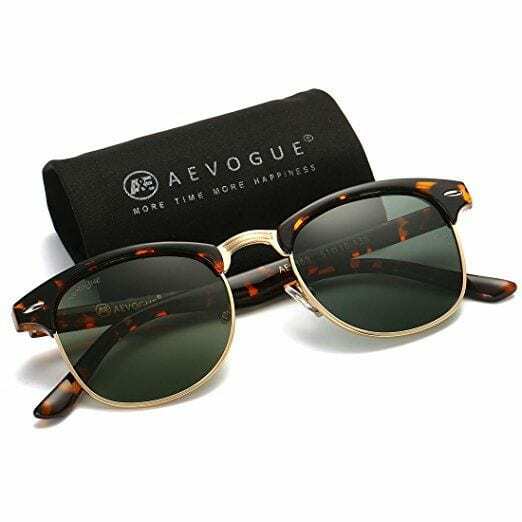 A good pair of sunglasses are necessary for summer in general, but especially when you’re laying out on the sand reading a book or watching the kids. Squinting will leave your head hurting, big time. I’m speaking from experience. No sunglasses = headache. 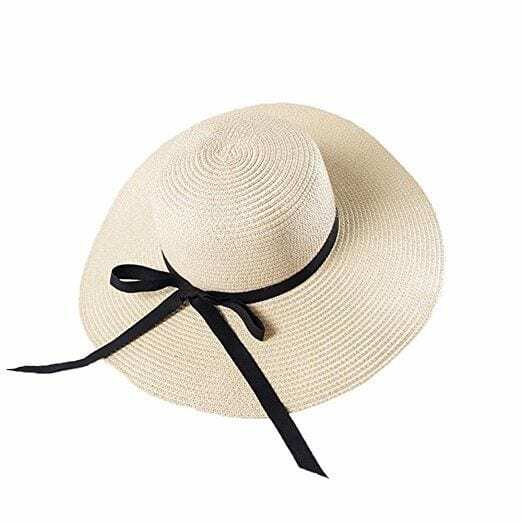 Whether it’s a baseball cap or a wide brimmed hat, don’t forget to bring a hat to the beach. You won’t have to worry about doing your hair on the days you’re on the water. Bonus: it’ll keep your face out of the sun. Fun fact: lips can get sunburned too. And when they do, they flake and hurt like no tomorrow. To keep this from happening, pick up a tinted lip balm with sunscreen so your lips will be protected and have a little color, but you don’t have to worry about messing with lipstick or lip gloss. Regular purses aren’t quite big enough for beach essentials, and getting sand in your purse is no fun. 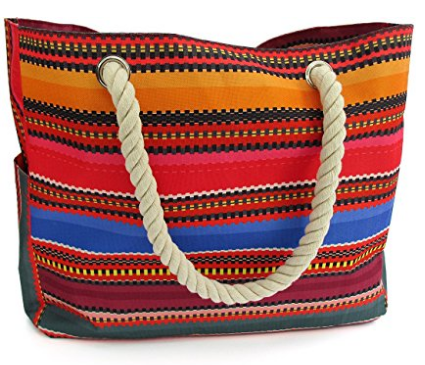 Find a large tote bag to carry everything when you go down to the beach. They’re usually pretty cheap and come in lots of fun colors and patterns. The one pictured below is waterproof, very colorful and under $30! I hope your beach day is amazing, and you leave with good memories instead of a sunburn!